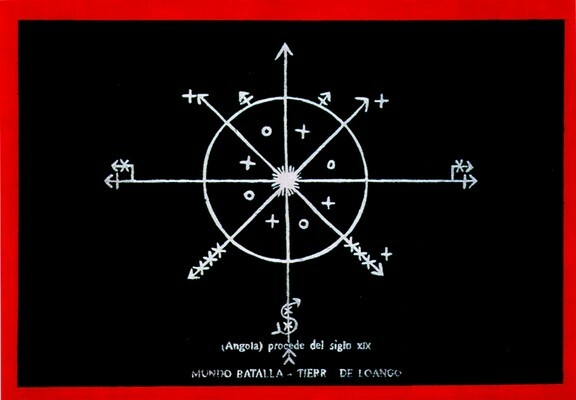 The central arrow with the symbol of ñoca or majá in the lowest part is the implicit war in this article fortified for these effects. The 4 arrows that cross represent the 4 elements: air, fire, water and earth. - the circle is the Earth in its universe. - The crossings represent planets: Venus (harmony), Tuesday (aggressiveness), Jupiter (order and wisdom), Satumo (the old thing, the old thing, the rigid thing), Uranus (tension and explosion), Neptune (imagination, intuition) and Pluto (in­consciente group).